If the FBI has figured out how and why one or more of its agents shot and killed a key witness to the Boston Marathon bombing during an interrogation last May 22, it isn’t rushing to tell anyone. As of this writing, the Bureau has been investigating itself for 237 days. FBI officials boasted to The New York Times that the Bureau’s “shooting incident review team” employed “an effective, time-tested process” to investigate the use of lethal force by agents. But don’t expect this FBI probe to call into question its own actions. 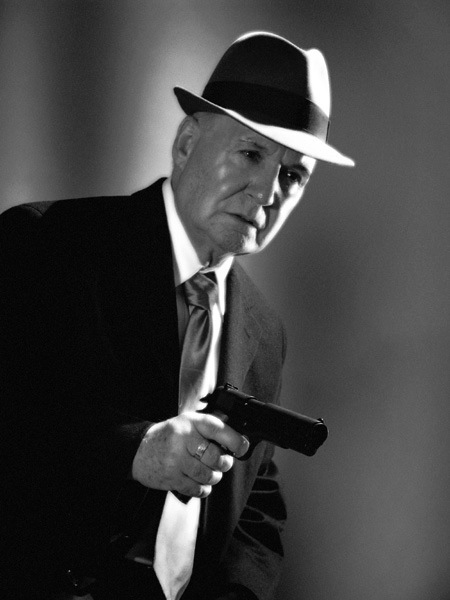 According to the Times, in more than 150 consecutive shootings dating back to 1993 the FBI has never once found an agent at fault. In fact, the Bureau’s reports systematically omit a key piece of evidence about shootings involving its agents: “Such reports typically do not include whether an agent had been involved in any previous shootings, because they focus only on the episode in question,“ FBI officials told the Times. What does this astonishing admission mean for the FBI’s investigation of the slaying of Ibragim Todashev in Orlando last May? The FBI’s failure to do this runs counter not only to common sense but also to “best-practice” protocols now used in police departments coast to coast. It also challenges the Bureau’s reputation as a model law enforcement agency. The FBI has developed a suite of capabilities that is unmatched in any other single national security agency in the world. 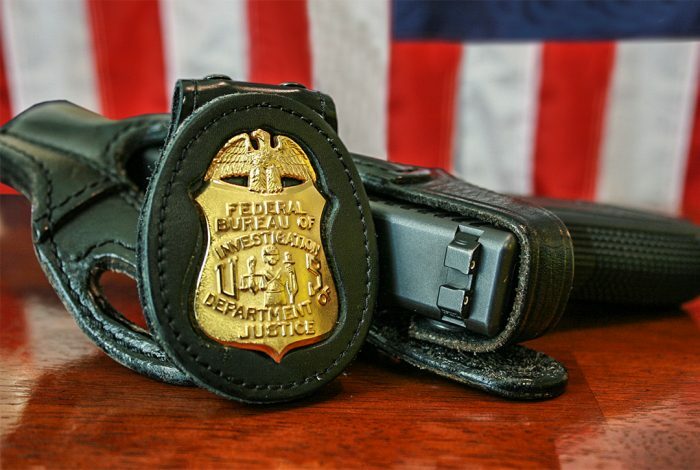 At the same time, one common thread for the FBI through the years has been its penchant for lifting all boats in the global law enforcement and intelligence communities. Its rising tide has been a slew of institutionalized training programs and specialized courses. The FBI, which has been built in Hoover’s own image, is generally acknowledged to be the finest police and investigative force in the world. It has greatly advanced the concept of law enforcement by introducing scientific methods and professional disciplines that have filtered down to precinct station houses in hundreds of cities across the country. FBI director James B. Comey needs to understand that his agency’s credibility is on the line in its investigation into the killing of Ibragim Todashev…The FBI, which has a long track record of exonerating itself in internal inquiries into shootings by agents, has had ample time to investigate Todashev’s death. It’s unclear now what the agency is waiting for. It’s time Comey provided an explanation. In an exclusive Q&A, we asked criminologist Walker about the basis of the FBI’s increasingly imperiled reputation. Walker, a professor emeritus at the University of Nebraska at Omaha, has been studying police accountability and oversight of police agencies and officers since the mid-1970s, including major research projects funded by the U.S. Department of Justice. He was an expert witness in the Center for Constitutional Rights’ successful federal class-action lawsuit against the New York City Police Department’s stop-and-frisk strategy. Many of Judge Shira Scheindlin’s remedies in her recent ruling against the NYPD, including the appointment of an independent monitor, were drawn from Walker’s testimony. Walker holds a unique position in the traditionally hidebound world of law enforcement. He is a flinty police critic who is nonetheless called upon by police departments to guide reforms. He is also a hero to those who advocate for civilian oversight of police departments. WhoWhatWhy: So you’re saying that police are evolving? Walker: There are a lot of good things going on in terms of police accountability at the local level. I think the FBI is out of that. They’re not part of that world. They’re insulated. WhoWhatWhy: What sort of “good things” are happening with municipal police? Walker: They are becoming learning organizations. That means they learn from their own mistakes and learn from other incidents elsewhere. So for example, in the case of officer-involved shootings, one important development is that there are now two parallel investigations. One focuses on liability and discipline. Did the officer do something wrong, violate the law or violate department policy, and should discipline be the result? The second is really a policy review. Were there ways in which the shooting could have been prevented? Do we need to change our policies or possibly our training and supervision so that we can prevent these things from happening in the future? WhoWhatWhy: So the two-track investigation has become a “best practices” model? Walker: Yes, increasingly. And that really gets to the culture of a police department. Do they really ask tough questions about what the officer did, and are they really prepared to raise critical questions and draw conclusions that are critical of the officer and the department? That’s tough, but that’s what really needs to happen if you want to look at an incident from a policy standpoint. Walker: Another important development is the use of early intervention systems to flag officers with problems. These systems are based on a computerized database of officer performance – instances of use of force, citizen complaints, arrest data, all of their stop data, their disciplinary record…You run the numbers and, sure enough, there’s always a small group of officers at the far end who have a higher-than-average number of problematic incidents. WhoWhatWhy: Do you find that commanders use this information to deal with problem cops? Walker: Many do. Early intervention systems are really now the gold standard. They’re a powerful tool for identifying problem officers. 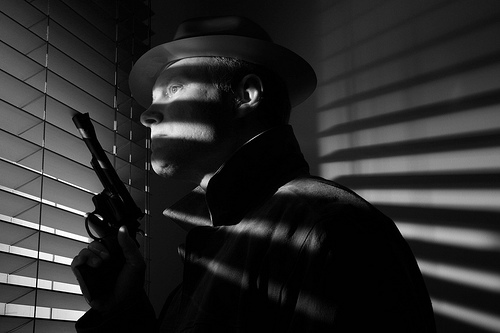 WhoWhatWhy: Let’s turn to the FBI’s remarkable record of clearing agents who shoot people. You called it suspicious that the FBI pretty much never faults an agent who shoots someone. And what about the Bureau’s assertion that the shooting history of an agent is irrelevant? Walker: That’s a fundamental question: You look at the full record of the officer. Has the officer been involved in other questionable shootings or other questionable incidents? Those things are red flags. In that [Times] article, the FBI pointedly said that it doesn’t inquire into the agent’s record. That’s wrong. That’s just crazy. Walker: They are halfway there, but I think they’re not all the way there. They have a shooting incident review team and they look at all of the action for lessons learned. But there’s a cultural issue here. Are the people on that review team really going to ask the tough questions? I’m not really sure of that. I’m a little skeptical of the FBI just because of its cultural history, its rather legendary history of not being that critical of itself. And again, their failure to look at an officer’s record I think is wrong. I think in general that the FBI could be much more open and transparent. WhoWhatWhy: How do they rationalize their failure to review an agent’s total record, especially if that is the “best practices” gold standard? Walker: I don’t know how they could rationalize it. You would want to know very early on whether this officer has a record of questionable incidents. In a municipal police department, the other cops know. The other cops know that this guy has a control problem, a temper problem, or is quick to draw a weapon. Now with the FBI, just given their assignment patterns (with more agent mobility than most local police departments), I’m not sure that kind of knowledge is there on the street. WhoWhatWhy: Or it’s buried by others on the job? Walker: This gets to a pretty important issue, where early intervention is relevant. The dirty little secret of policing has always been that other officers in the department know who the bad cops are. Police departments are like little villages…And they’ve always failed, historically, to deal with problem officers that they knew they had. Again, that’s this cultural thing. But I’m seeing a new world of police accountability. Early intervention systems empower managers and give them a tool to identify the facts that underlie these reputations. WhoWhatWhy: Are there other initiatives in preventing officer-involved shootings? Walker: One important issue being addressed more often is the myth of the split-second decision. The public rhetoric about policing goes like this: “Oh, they’re out there on the street and they have to make these split-second, life and death decisions.” But many, many incidents are scenarios that unfold over time, and officers make a series of tactical decisions. WhoWhatWhy: And so it’s about making the right decisions? Walker: Right. According to the split-second-decision construct, it often seems the officer had no choice: Some guy suddenly jumped out with a gun, and the officer had to shoot. There’s no time to think. But that’s not true. These things unfold over time. The officer makes a series of decisions…Shooting scenarios in many cases are manageable incidents. You can have your officers choose to do this rather than that. And if they choose this, it will reduce the likelihood of having to use deadly force. WhoWhatWhy: For example, backing away rather than pressing forward aggressively to defuse a confrontation? Walker: This plays out particularly with police dealing with people who are mentally disturbed. There are ways to manage that incident to help to defuse it. Now if an officer is going to start crowding him, the chance of having to use deadly force really escalates if you bark at him, if you give him orders. When a person’s having a psychotic breakdown, that’s the last thing you do. You give him space, you give him time. So the key lesson is that police use of firearms is a manageable problem. And we’ve made a lot of progress over the years, and I believe we’ve learned some things in recent years. We can reduce that even further. WhoWhatWhy: You said the FBI somehow manages to stand apart from the world of law enforcement accountability. How? Walker: Well, the FBI has a long history of being insular, being arrogant. They really think they have nothing to learn from local police, which is a mistake because a lot of local police departments have made significant progress. Police departments are really much more in the public eye because they patrol, they’re out there in the streets, and people see them in patrol cars. And so they’ve been subject to public criticism and have been forced to respond to those criticisms much more than the FBI has. The FBI is this remote federal agency. WhoWhatWhy: Is that because the Bureau is buffered from accountability to the voting public? In a city, the dynamic of electoral politics is such that the mayor catches hell from voters who then holds his police chief accountable. The FBI is not subject to the same immediate electoral dynamic. Walker: Right. And that scenario is playing out right now in New York City, in exactly the way it should play out in a democracy. New York has a new mayor who was dissatisfied with police policy regarding stop-and-frisk and other programs, and he’s going to change it. WhoWhatWhy: Is the FBI due for some fundamental procedural changes? Walker: My hunch would be that a thorough audit would find they’re not up to speed with the best municipal police departments. They think they’re the best, and they’re not. First I would look at this cultural issue and see if they’re asking the tough questions in their investigations and whether they’re looking at officers’ records. I suspect they have a lot to learn….I would look at in-service training. Are they training themselves, or do they bring in other agencies? I’d bet some good money that they do not bring in people from local police departments who have really moved to the fore in this area. WhoWhatWhy: How has the FBI maintained its untouchable reputation for so long? Walker: I think it’s true of all organizations that sort of go off track by reading their own press clippings and lose the ability to be self-critical…For decades, the Los Angeles Police Department had a similar kind of culture, with a tremendous emphasis on public relations and creating or manipulating their image. WhoWhatWhy: You say that you haven’t followed closely the FBI agent’s killing of Todashev, the Boston Bombing witness. Well, we have been following it closely, and we’re struck by the opaque nature of the FBI’s role. For example, we still don’t even know the name of the agent who killed Todashev. Walker: I’m not entirely sure the names in an unresolved action like that should be released. But any past disciplinary action against him should be released…. WhoWhatWhy: But the FBI says it doesn’t look at an agent’s past shooting incidents for patterns. We have to assume that is the case in the Todashev shooting. So if the FBI won’t look for patterns in its investigation – using the “best practices” models you outlined – shouldn’t the press be able to do so? Walker: I understand your point. I would like to know whether the FBI has some version of early intervention systems – a list of the top 10 agents who have been involved in firearms incidents, for example. That ought to be readily available to the director of the FBI. WhoWhatWhy: It’s hard to conceive that the FBI doesn’t believe that that is pertinent information. Isn’t that why criminal histories are collected, to identify patterns? Isn’t that the idea behind three-strike sentences, however flawed: to identify repeat offenders? Walker: Yes, it’s exactly that. It’s just like criminals and juvenile delinquents. At the far end of the scale, you’ve got your hard-core group that is repeatedly in trouble. It’s true of drunk drivers. A lot of people drink and drive, but there is a very small group of repeat offenders at the far end. It’s true of every single area of life. But it would not surprise me if the FBI does not have the equivalent of an early intervention system. I think their attitude is that the FBI has nothing to learn from local police departments. WhoWhatWhy: You are an expert in the police civilian review process. Not applicable to the FBI? Walker: The FBI has none of that. Should they? I think it might build trust. It would take some serious thought to craft the right process since you’re talking about a national agency. But it could be done, maybe with an ombudsman or regional review boards. But at least you’d have a process where people could lodge their complaint, and where someone who’s out of the chain of command would consider those complaints. WhoWhatWhy: Could you foresee such a thing? WhoWhatWhy: If you were consulting the FBI about accountability, what advice would you give? Walker: I’d ask if they have an early intervention system. I’d ask if they had a citizens’ complaint process. But I probably would start with this business of failing to look at records of agents involved in shootings, for god’s sake. I’d throw that New York Times story at them and say, is this really true?